The peninsula of Crimea has long been a symbol for good rest and a mecca for tourists who prefer to combine a seaside holiday with exciting excursions. Properly drawn tours to Crimea from Kozak Travel allow you to plunge into the atmosphere of the summer, smell the sea and positive emotions for the year ahead. In addition to your rest at the sea you may want to include interesting excursions to the most amazing places of the peninsula at Kozak Travel. 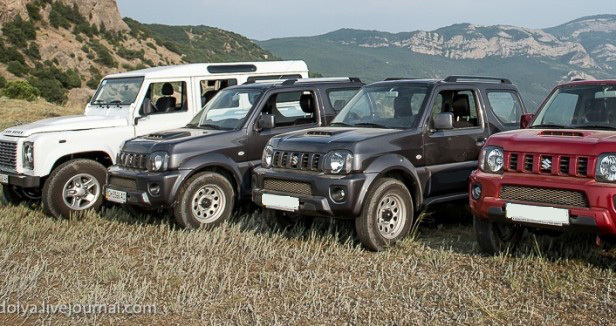 In addition to the beach and excursion tours to Crimea Kozak Travel also offers seven exciting tours in jeeps. Well designed programs during the excursions also with extreme joy. We took into account all your wishes and therefore all tours in Crimea are varied. 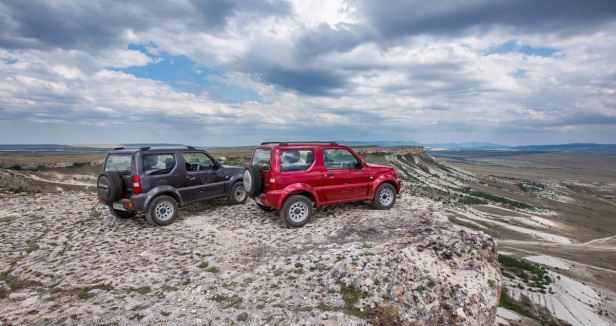 During the off road tour "balaclava + sea walk" you will find a mysterious submarine base, tickling the nerves rise with your jeep at an angle of 40 degrees, impressive for its beauty and diversity of the Crimean roads, breathtaking boat trip, and more. From driving a car along a special route you will get an unforgettable experience and with incomparable sharp impressions. The travel guide leads the tour on his own 4x4, which is broadcast to other off road vehicles via a radio. 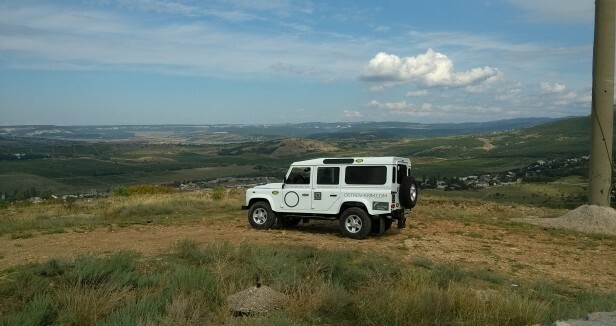 - Moving off-road from Sevastopol to Balaklava. - The top-secret factory for the repair of submarines. This military facility during the Cold War, is located in the mountain Tavros, on both sides of which there are two exits. On the part of the bay is the entrance to the channel (tunnel). Tour of the canal and the museum (60 UAH.). - Extreme off-road climb to the South Fort "Barrel of Death" at an angle of 40 degrees. It offers a breathtaking view of the sea and the Genoese fortress XlV century - Cembalo. 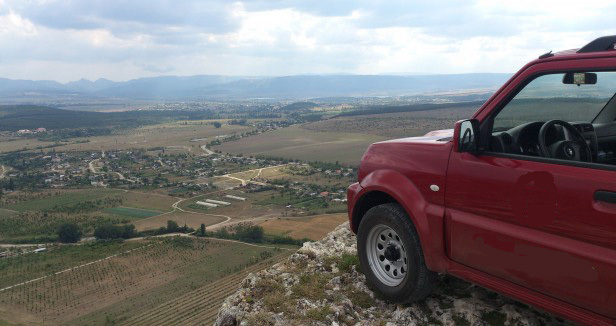 - Drive the scenic road to the North Fort, fortifications from the Fist World War. - Boat trip on a yacht along the bays and beaches. - Stop for swimming and fishing. - Moving off-road from Balaklava to Sebastopol. Tour operator Kozak Travel has a long experience in the tourism sector at Crimea and in Sevastopol. Whether it's tours at sea or sightseeing tours and excursions, everything is thought out to the smallest detail. Our customers get the most out of a trip to the most reasonable prices. Tired of hearing stories about the emotional cancel the holiday from friends and family? So, it's time to buy a tour to the Crimea and enjoy your own perfect holiday . Each day of your holiday Kozak Travel will bring you a sea of pleasant experiences! Kozak Travel will organize any other additional services such as transfers, hotel accommodation, transport and tours if required. Prices are subject to change at time of booking. Currency fluctuations may influence the price. Conditions apply subject to availability. Conditions Apply and must be read in conjunction with our booking form. When you are with a group and wish to make changes to this standard program, please keep in mind that this final price depends on chosen style of accommodation and dining. Please contact us with your group size (minimum 2 guests, no maximum group size), travel dates and preferences and we will send you custom pricing. Discounts available for larger groups. Please note that our tours are available upon demand for private groups and are not scheduled tours to be mixed with other groups. If you are interested in this package, contact us for more information today. This tour can also be adapted for bigger groups with a substantial discount. All our tours are available upon request for your private group or as individual tour. If you would like us to customize a luxury gourmet tour for you, contact us with your requirements, and we can send you a free itinerary and quote with no obligations. We organize excursion packages and wine tours from half day, to weekends and longer. Discoveries throughout the Crimean peninsula. Ask us the availability and amount during the period of your choice.